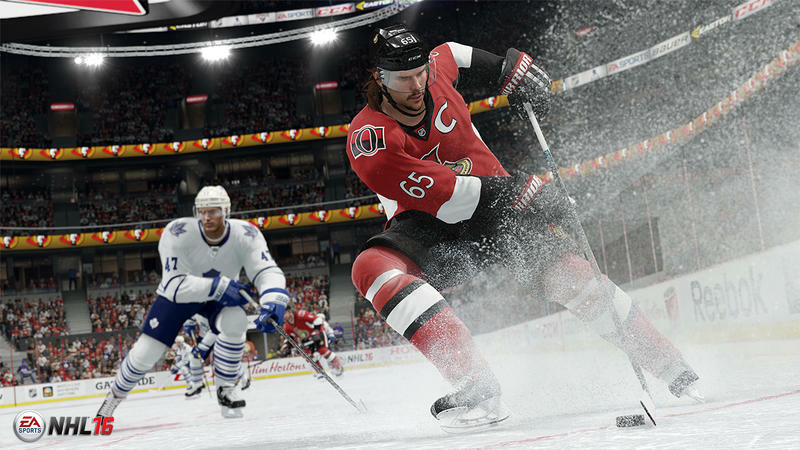 If you’ve ever thought NHL looked like a neat gaming franchise, but you didn’t think you’d be able to pick up the basics of the virtual ice and the act of skating, playing good defense and shooting, NHL 16 might be for you. The game has a neat feature that can be turned on that actually prompts and rewards you towards being a better player. The screen is littered with indicators that point towards the right spots on the net to shoot for, which players you should pass towards, where you should skate when you don’t have the puck, when to puck check, when to lay a hit and, generally, when to play better. Nail a shot without scoring? 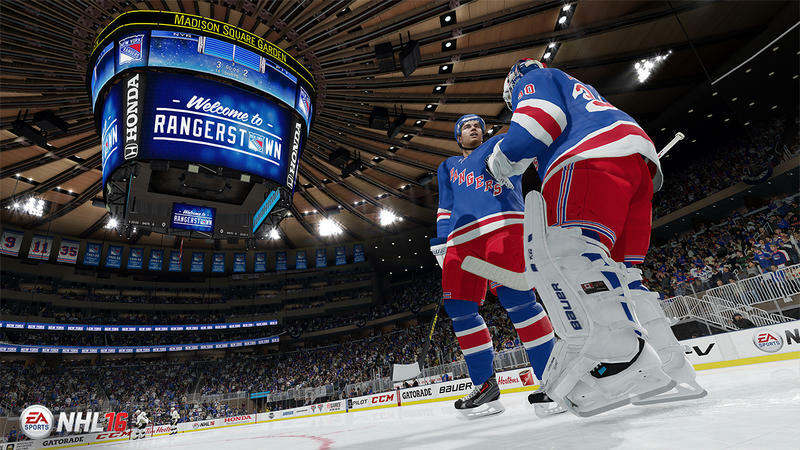 Fine, the game will give you a pat on the back and insist a scoring chance was had. Not all pucks find the twine, folks, regardless of the quality of the shot taken. That was my story as I played one of the developers from EA Sports. I’ve been playing this series for something like 15 years now. It’s one of my yearly efforts. I’m good at it, though I certainly don’t approach the caliber of the best players in the community. My shots just weren’t going on. It was Penguins and Flyers, and Steve Mason absolutely stood on his head the entire game. The dev put up four goals, three from the blueline with a clear line of sight for Marc-Andre Fleury. He didn’t stop those. It was like the playoffs from two years ago all over again. I went into shell shock. I wound up rallying very late and made it a 4-2 game. I lost, but commendably so as the dev and stat lines indicated I had both more chances and more shots. Thanks, Flower. 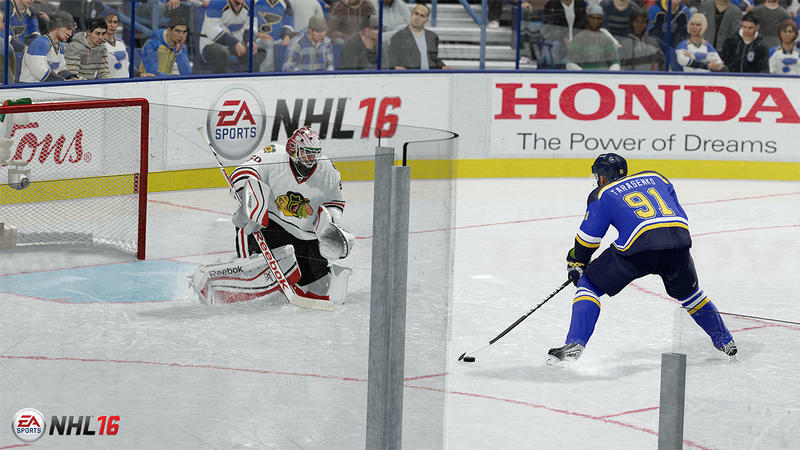 In better news than my horrific performance, EASHL returns. Goodness gracious, we may have a complete NHL game on our hands after last year’s generation jump that felt lacking. 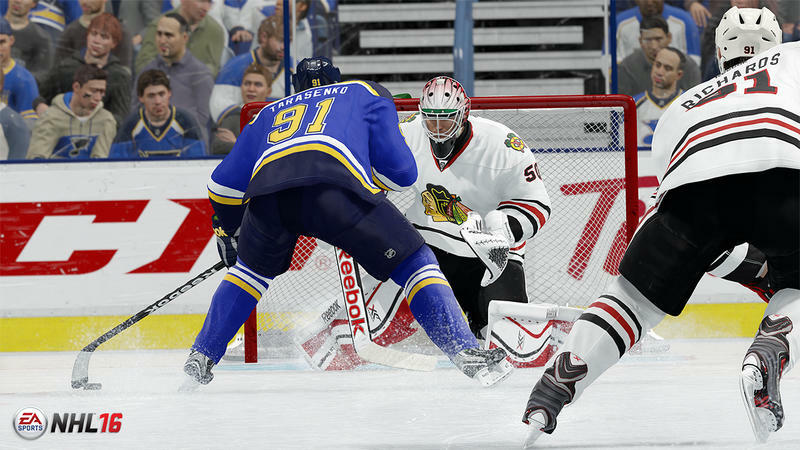 The EASHL let’s six players hop on a team, play dedicated positions through short seasons against other clubs. It’s awesome, and it’s one of the best communities in sports gaming. In general, this feels like a much more solid NHL effort. I’m not sure if it’s the full return to grace that it should be, but we won’t know that until it’s in our hands genuinely for review. Stay tuned, but get excited that there’s a teaching aid for new fans and the return of one of the franchise’s best modes.